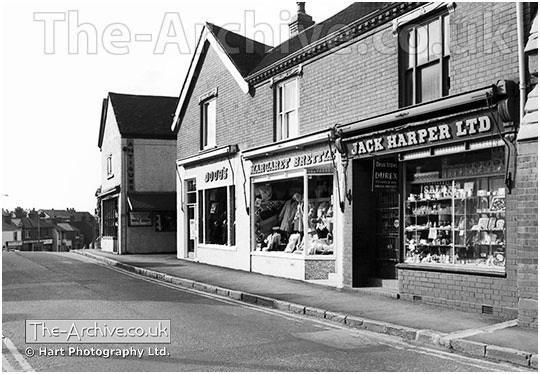 ﻿ Jack Harper Ltd - Margaret Brettel - The Archive of Hart Photography Ltd.
A photograph of Jack harper Ltd, Margaret Brettle & Doug’s clothes shop Upper High Street, Lye, Stourbridge, West Midlands, Worcestershire. Photographer William R. Hart ABIPP. AMPA. ARPS.